WASHINGTON, D.C. – Senators Brian Schatz (HI) and Sherrod Brown (OH) introduced legislation today that would require credit bureaus to follow tighter rules for ensuring credit reports are accurate and give consumers free access to reliable credit scores every year. The Stop Errors in Credit Use and Reporting (SECURE) Act is needed because credit report errors are all too common and consumers should have the right to find out their credit score at no charge, according to Consumers Union, the policy and advocacy division of Consumer Reports. Consumers Union endorsed the legislation today and spelled out why the legislation is needed in Errors & Gotchas: How Credit Report Errors and Unreliable Credit Scores Hurt Consumers. The policy brief highlights recent research and stories from consumers who have encountered problems with credit report errors and credit score access and reliability. The SECURE Act is also supported by Americans for Financial Reform, Consumer Action, Consumer Federation of America, and USPIRG. Last fall, the Consumer Financial Protection Bureau (CFPB) told financial firms that it will take action against them if they fail to fix errors on consumers’ credit reports. The CFPB also recently called on the top banks to voluntarily make credit scores freely available to consumers across product lines. A recent Federal Trade Commission (FTC) study found that an estimated 40 million Americans have an error on one of their credit reports. Over five percent of consumers with credit files — or 10 million — had an error that would likely result in higher interest rates on a loan. Common credit report errors include information that belongs to another consumer or that may be outdated or simply wrong. Errors can be caused by the way credit reporting agencies (CRAs) match files, incorrect information reported by creditors or other data furnishers, or because of identity theft. Many consumers who shared their stories with Consumers Union reported that they had a very difficult time getting the CRAs to fix mistakes on their credit reports. That’s because the CRAs devote limited resources to addressing errors and the investigations conducted by creditors and other furnishers are often inadequate. Typically, the CRAs accept the word of furnishers in disputes, even when they haven’t produced evidence to prove the information is correct. Credit report mistakes can result in lower credit scores, which are calculated based on the information contained in the reports and are used by lenders to set the terms and interest rates offered to consumers. When credit report errors are serious enough to damage a consumer’s credit-rating, the financial consequences can be very costly. Consumers may end up paying thousands of dollars more in interest over the lifetime of their mortgage or hundreds of dollars more in auto insurance as a result of such errors. Consumers can purchase their credit scores, but they have a hard time obtaining the same scores used by lenders for evaluating creditworthiness. Instead, the CRAs typically sell “educational” scores to consumers that are rarely used by lenders. Sometimes consumers sign up for what they expect is a free credit score only to be duped into enrolling in costly credit monitoring services. The scores offered through these services are usually different than the ones considered by lenders. The difference between these scores can be significant. 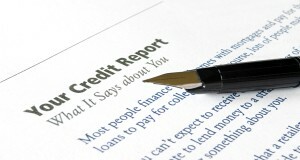 A recent analysis by the Consumer Financial Protection Bureau found that the credit scores used by lenders compared to the scores typically sold by the CRAs would put consumers in a different credit reporting category 19 to 24 percent of the time. Hold CRAs Accountable for Accuracy: New rules are needed to clearly define the “reasonable procedures” CRAs are required to have in place to ensure credit reports are accurate. This could include requiring CRAs to match first and last name, date of birth, and other relevant information, where appropriate. Hold Furnishers Accountable for Accuracy: To ensure information about consumers is accurate, creditors and other furnishers should be required to keep supporting documentation about an account that appears on a credit report, unless directed otherwise by law. Improve the Dispute Investigation Process: Furnishers should not be able to dismiss disputes as “frivolous” if consumers provide information that is relevant to their complaints. Furnishers should delete disputed information from a credit report if they cannot offer documents to support it. Provide Consumers With Free Access to Credit Scores: The CRAs should be required to provide consumers with their credit scores for free when consumers request their annual credit reports. These scores should be the same ones that are most often used by lenders to make credit decisions. Stop Deceptive Marketing of Credit Reports and Scores: Regulators should crack down on deceptive marketing of credit reports and scores to protect consumers from unknowingly registering for unwanted credit monitoring or other expensive services. For consumer tips on credit reports and credit scores, see How To Access Your Credit Information And Correct Errors.